Lawmakers have decided not to touch a tax deduction for teachers who spend their own money on school supplies -- effectively splitting the difference between competing proposals. Currently, teachers can deduct up to $250 for classroom materials from their taxable income. It applies to both those who take the standard deduction, and to those who itemize. 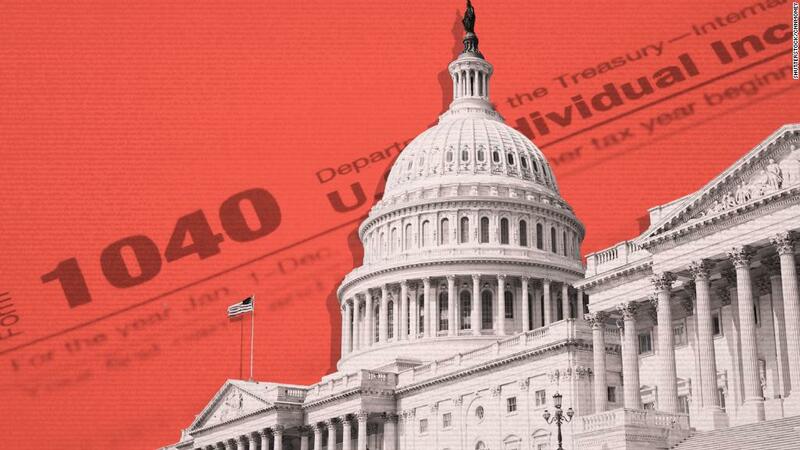 That deduction won't change if the House and Senate pass their compromise tax bill in its current form. Votes are expected next week. Last month, the House passed a bill that would have eliminated the deduction. The Senate bill, meanwhile, would have doubled it to $500. The tax break for educators helps offset the hundreds of dollars many teachers spend out-of-pocket each school year for supplies like paper, scissors and posters. Teachers surveyed by education publishing company Scholastic in 2016 personally spent an average of $530 in the past year. Teachers who worked at high-poverty schools spent an average of $672. Sonia Smith, president of the Chesterfield Education Association in Virginia, said increasing the deduction to $500 would have been helpful. "That's closer to what most of my colleagues spend," said Smith, who is a high school English teacher. "And I can tell you for an elementary school teacher, it's far more." Smith said teachers have to spend their own money to decorate their classrooms, and to buy standard items like pencils, pens and highlighters. Related: Will Obamacare survive the tax cut? The deduction's burden on the federal budget is limited. According to the Treasury Department, the deduction cut federal tax revenue by an estimated $200 million in the 2017 fiscal year. Despite the tax break's survival, the National Education Association maintains its opposition to the bill. "Clearly, Congress heard the outcry from educators and parents when House Republicans tried to eliminate the $250 deduction for school supplies," Lily Eskelsen García, the group's president, said in a statement. "But the overall GOP tax bill is full of giveaways to corporations and the wealthy. It's outrageous that working families will now have to pay that bill."